SOMETIMES you have to wonder if the European Tour is trying just a little bit too hard to be different. The GolfSixes at St Albans was all well and good, attracted huge galleries and lots of attention, but professionals are meant to play 72-hole stroke play tournaments. This week, however, the tour heads across the Channel for yet another new event, this time the Belgian Knockout, an event hosted by Thomas Pieters which features a head-to-head strokeplay knockout format. It will be the first time the European Tour has been in Belgian for 18 years, which gives the country a great chance to showpiece the magnificent Rinkven International Golf Club in Antwerp. The opening two rounds will follow the normal strokeplay format, before the leading 64 players go head-to-head in knockout strokeplay matches contested over nine holes on Saturday and Sunday to determine the winner. The Belgian Knockout will be the first time the country has hosted a European Tour event since Lee Westwood won the Belgian Open at Royal Zoute in 2000. The tournament was first played in 1910 and was won five times by the forefather of Belgian golf, Flory van Donck, who was also a two-time runner-up in The Open Championship. Everybody loves matchplay. Let’s face it, it’s the format most of us play in our friendly fourballs with our mates, but the problem with knockout strokeplay is that if somebody starts off with a double-bogey and they are only playing over nine holes, the chances of getting back into the match are slim to non-existent, especially if his opponent birdies the same hole. But it is what it is, and it is the same for everybody, so the key is to avoid running up big scores. Pieters, along with Ryder Cup player Nicolas Colsaerts and the promising Thomas Detry, represent a gifted generation of Belgian golfers, and the tournament host is thrilled to have the chance of playing in his homeland. “It means the world to Belgium to have another European Tour event,” said Pieters. “We’ve had a decent increase in interest in golf in the past few years with Nico’s [Colsaerts] Ryder Cup, my Ryder Cup and the Olympics helping [Pieters was fourth in Rio in 2016], so we thought it was time to get our own tournament back. Pieters is a hero in Belgium, a country not exactly known for its global sporting stars, and his presence is likely to ensure a big gallery at Rinkven. 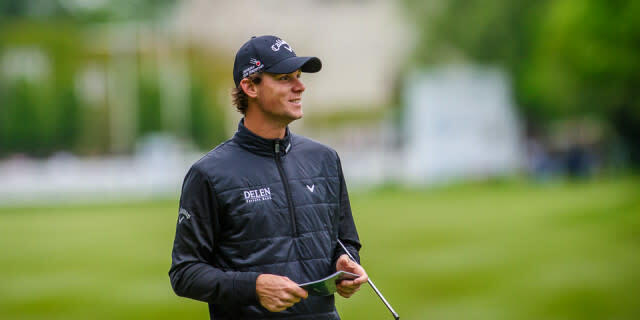 It is difficult to believe that Pieters, a young man who has grown up playing 72-hole strokeplay tournaments, actually had very much to do with coming up with the format for the Belgian Knockout, but you can be sure that he will be desperate to put on a show for the home fans. And it is about time that he got his 2018 season into something like top gear. There are few European Tour golfers who strike the ball as impressively as he he does, but there is a growing feeling among his peers that he needs to kick on and start winning more regularly. Torn between his home tour and playing more on the PGA Tour, Pieters, like many before him, is finding it an increasingly difficult balancing act to get right. He should be a shoo-in for the Ryder Cup team later this year, but still has a good deal of work to do to secure his place, and that, together with playing in front of a partisan home gallery, is surely bound to spur him on. 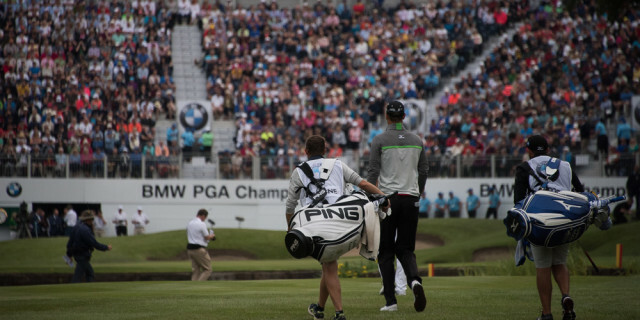 Despite its quirkiness, the tournament has attracted a decent field, and among those looking for something is Chris Wood, the former BMW PGA champion. The giant Englishman returns to Wentworth next week and is desperate to find some decent form. His career has been blighted by injury but he possesses a wonderful short game and would dearly love to get back into the world’s top 50. He was once as high as 22nd, but now finds himself outside the top 115. Golf can be a cruel game. Not so long ago he was guaranteed entry into all four majors plus the WGC tournaments, but, for the time being at least, that has all gone and he finds himself on the outside looking in. It would only take one good week to turn things around for him though. Dutchman Joost Luiten is another who should be suited to this format. He is a golfer who is capable of making lots of birdies and has shown some promising signs this season, but without finding the consistency that makes the real difference. If he starts off by finding some fairways and holing some putts, he will be a very difficult man to beat. Look out, too, for the French pairing of Romain Wattel and Mike Lorenzo-Vera, who combined so well in reaching the final of the recent GolfSixes. These are two highly underrated golfers, with many pundits still believing that Wattel has the game to reach the very top - if only he could find a way to believe it himself. Lorenzo-Vera probably has the most famous moustache on the European Tour and is probably also the most elegant, but he desperately wants to prove that there is more to his game than just a pretty face. He is also fresh off a runners-up finishing at the Rocco Forte Open in Sicily and will hope that he has one more good week in his system. Both these French golfers hit some stellar golf shots at St Albans, and it will be fascinating to see if it translates into a burst of good form as the rest of the season unfolds.